Chapter 3 of the Little Book on CoffeeScript offers a quick and dirty overview of classes in CoffeeScript. But that is not our main topic of the evening. Instead, we shall take a little look at Mixins, also explained in the same chapter. Personally, I am rather new to the concept of Mixins. 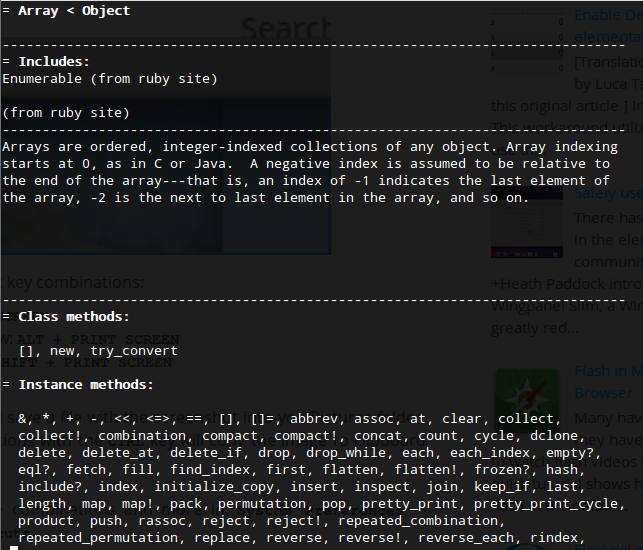 It was only through some Ruby work that I was first exposed to this idea. In short, Mixins are a way to mimick multiple inheritance. Now, before an angry mob of programmers kill me, I think we all agree that in general, multiple inheritance is a bad idea, but it does have its advantages. Mixins are a way of getting the best out of both worlds, gaining the power of multiple inheritance while keeping class hierarchies as a tree. To understand Mixins, let us take a look at a rather contrived example in Ruby. And while I’m pretty new to this, I think my last point should be particularly true for Mixins. The code should be sufficiently generic to permit reuse across several classes, otherwise, we might as well put the code inside the class making use of it in the first place. So I hope that is sufficiently real world, and an ok introduction to Mixins. Now, onto how they are implemented in CoffeeScript. By default, CoffeeScript does not have Mixins as a built-in language feature. However, it is possible to implement them in CoffeeScript, as the Mixins section of Chapter 3 of the Little Book on CoffeeScript shows us. We will use include for “instance level” Mixins, in other words, to mix in methods or properties we want to appear in every instantiated object of the class and its descendents. We will use extend for “class level” Mixins, which adds the methods or properties of the given object onto the class itself, which makes this kind of like static methods/attributes in C++ / Java. Here, we see that the User class inherits from Module. All the magic enabling Mixins is in the Module class, so having a class inheriting the Module class is a prerequisite to enabling Mixins. Here, we see that the User class @extends the classProperties object. So the find and create methods are available on the User class itself (and descendent classes), but not User objects. The User class @includes the instanceProperties object. As such, the save method is available on User objects, and objects which are instances of classes that descend from User. what is the use of the moduleKeywords variable? what are the obj.extended?.apply(@) lines doing? why use @[key] = value for @extend, but @::[key] = value for @include ? Essentially, this example is doing exactly the same thing as the example where we had the User class @extend the classProperties object and @include the instanceProperties object (so the User class will possess the find and create class methods, and the save instance method). But how can that be, they look so different. Yet it is truly the case. Let’s go into a bit more detail. our ORM object has the find, create and extended properties. There is something subtle with the name of the function. By writing it as @extend instead of extend, we are actually creating extend as a class method. Use of the js2coffee tool confirms this. Notice how everything stays the same, except that Module.extend becomes Module.prototype.extend. As such, since the function is defined as @extend, the @ refers to the Module class. This is why passing the an object to @extend will cause the object’s properties to be available to the target class. 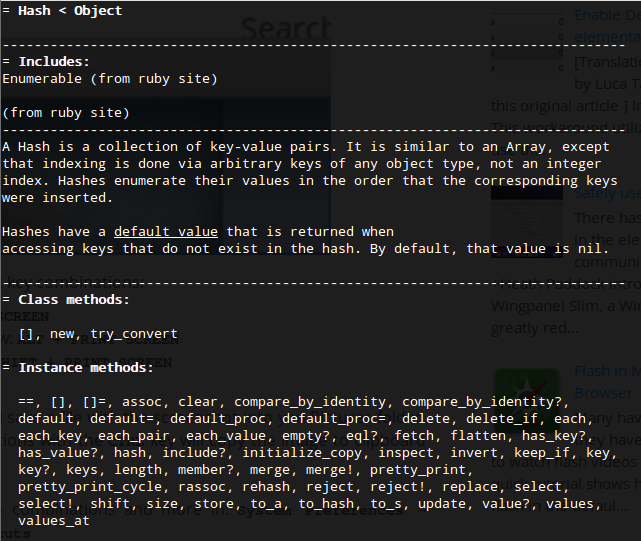 Notice how @::[key] = value is compiled to this.prototype[key] = value;. This is what makes the properties of the object available to the instances of the target class. Recall that the ORM object we passed in to @extend has 3 properties: find, create and extended. So what the code here is doing is, for any key that is not in the moduleKeywords variable, make them available to the class. and we see that extended is in moduleKeywords, so that property is not added to the User class.